Professionally operated organic agricultural and hospitality business for sale close to Certaldo in the province of Florence in Tuscany. The property is situated in the hills with wide panoramic views across olive groves and vineyards until the medieval hill town San Gimignano, which is famous for its medieval architecture. The houses belonging to the property for sale are part of a small village and comprise the rental business with nine restored holiday apartments with outdoor sitting areas and terraces as well as two double bedrooms with en-suite bathrooms, which can accommodate up to 30 holiday guests. In addition, a spacious owner's apartment, a restaurant building with surrounding terraces and a swimming pool are part of the property. The adjacent agricultural surfaces (approx. 14.23 hectares) are composed of approx. 7.57 hectares (owned) and approx. 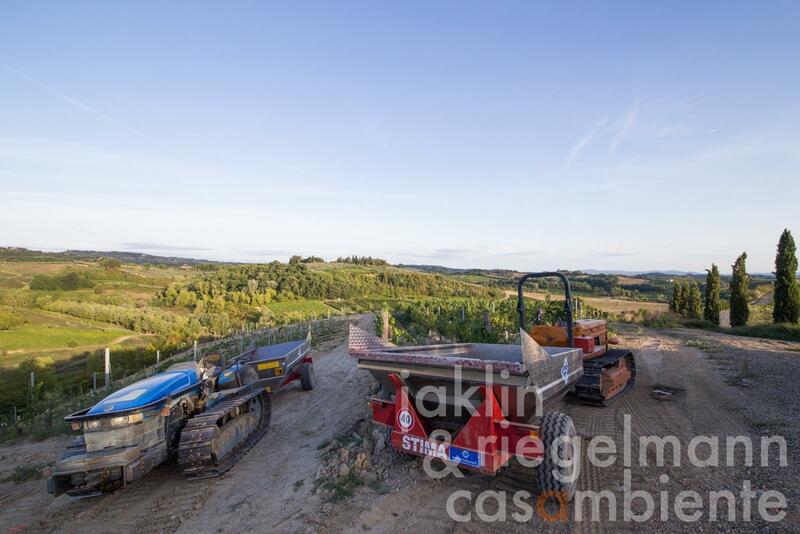 2.37 hectares (leased) of organic vineyards, on which Sangiovese, Canaiolo, Trebbiano, Malvasia, Colorino, Montepulciano and Cabernet Sauvignon are grown. Only a part of the grapes are currently turned into organic IGT Rosso Toscano and IGT Toscano Bianco, the remainder is sold. The olive groves extend on approx. 1 hectare, of which approx. 7,150 m² are owned and approx. 2,900 m² are leased. The leased vineyards and olive groves will be purchased in the near future and are already reflected in the asking price. The property has been run for several decades by the owning family and is - based on the profit and loss statements of the past three years - in a pleasing and stable financial position. The restaurant was added in 2015 and is contributing favourably to overall results. The own wine production can be expanded. The asking price includes the property; all equipment, machinery, and wine in the cellar can be purchased optionally. Italy, region Tuscany, province Florence, municipality Certaldo. Electricity, photovoltaic modules, mains water, own well water, central heating, fireplace, air conditioning, gas tank, telephone, broadband internet access, satellite-TV, automatic gate, swimming pool, roof-deck, garage, private parking, terrace, vineyard, olive grove, garden.